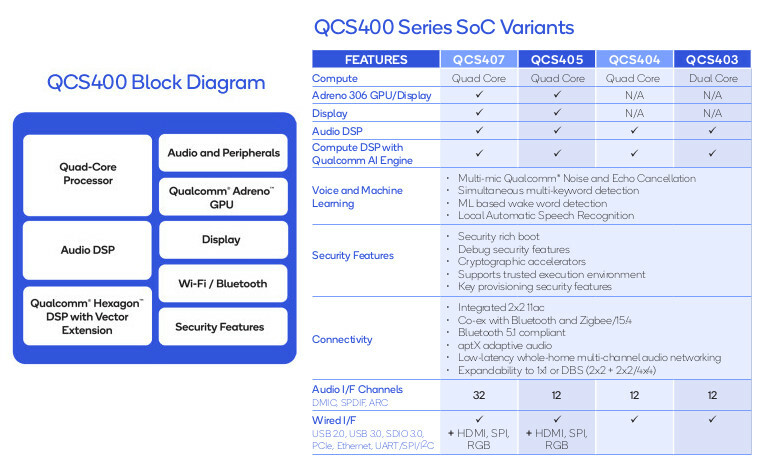 Qualcomm today launched the new Qualcomm QCS400 SoC series – QCS407, QCS405, QCS404 and QCS403 to help deliver highly optimized, AI-enabled solutions that are designed for smarter audio and IoT applications. The QCS400 SoCs tightly integrate high-performance processing, the Qualcomm Artificial Intelligence (AI Engine), connectivity, and multiple advanced audio and visual display capabilities in single, power-optimized chip architecture. In the case of smart speakers, the QCS400 SoCs supports voice assistant experience with faster, smarter voice UI, even in noisy environments compared to previous SoCs– including AI-based local automatic speech recognition, low-power, multi-keyword far-field voice pickup with beam-forming and echo cancellation, and support for cloud-based voice assistants. With Dolby advancements in sound technology, now the OEMs can efficiently and economically create smarter audio products with richer sound quality, extended battery life and improved voice assistance capabilities. Power improvements were driven on the QCS400 series support up to 25 times longer standby with voice wakeup and extended ‘un-plugged’ battery life. 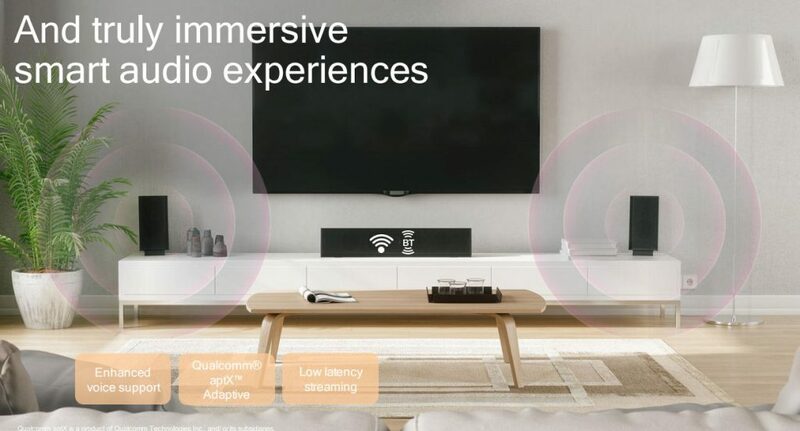 Furthermore, the QSC400 SoCs are highly flexible and customizable using Qualcomm Technologies’ Audio Development Kit (ADK) and the Qualcomm AI Engine can be utilized by developers through the Qualcomm Snapdragon Neural Processing Engine (SNPE) Software Development Kit (SDK). Previous Previous post: MWC 2019: It’s all about the IP, baby!